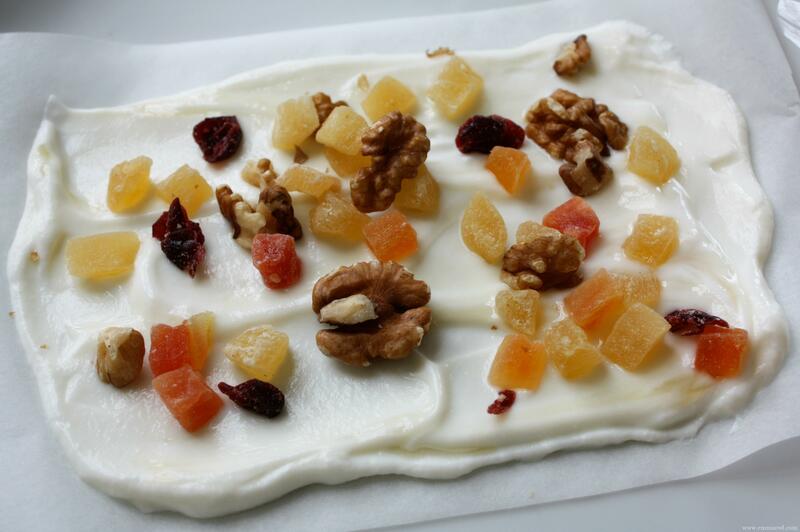 This is the perfect frozen yoghurt healthy after school – or any time actually – snack! Children love it, it is healthy and best of all, you can make it in a few minutes! Ingredients: (plain) yoghurt + ANYTHING you would like to flavor it with and sprinkle on top. I added honey into the yoghurt (you can leave it as is) and we sprinkled seeds, dried fruit and nuts on top! 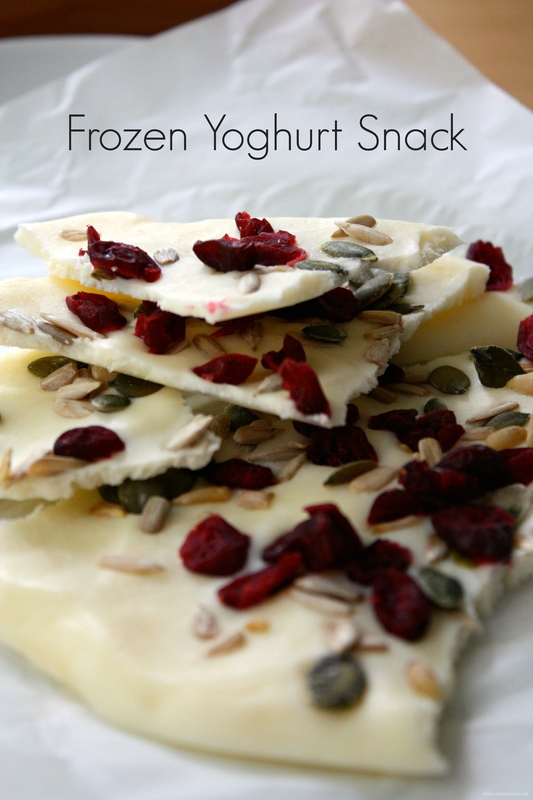 You could add berries, nuts, dried fruit, seeds, vanilla, you could even add a little chocolate – I’m sure!! HOW? – – it is so easy!! Cover a baking tray or dinner plate with wax paper. If you are going to add flavors (for example honey or vanilla) to the yoghurt, then this is the time! Mix it in! 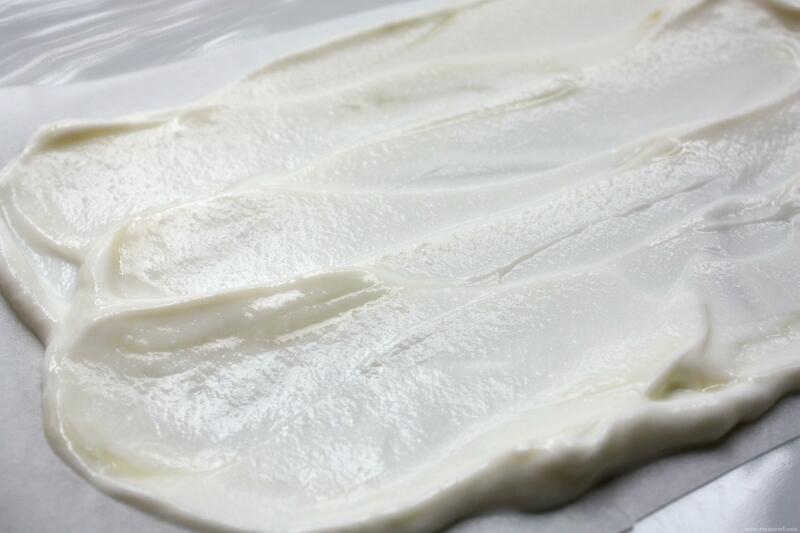 Spread the yoghurt onto the paper – about 5mm thick. Sprinkle on your choice of toppings. Put it into the freezer until frozen – it freezes in about 2 hours! When it is frozen, break it up into chunks and place it into a freezer safe bag or tupperware so that it keeps safe and does not dry out! This is a great snack, our group would just love it! Your post is awesome and thank you so much for sharing it with Full Plate Thursday. What a fun treat! I’m definitely going to try this with my kids. I’m so glad you linked up with us at Your Turn To Shine!